The Sandpiper Sugar Bowl and Creamer Jug Set are both made from durable ceramic and hand crafted for this Sandpiper collection. 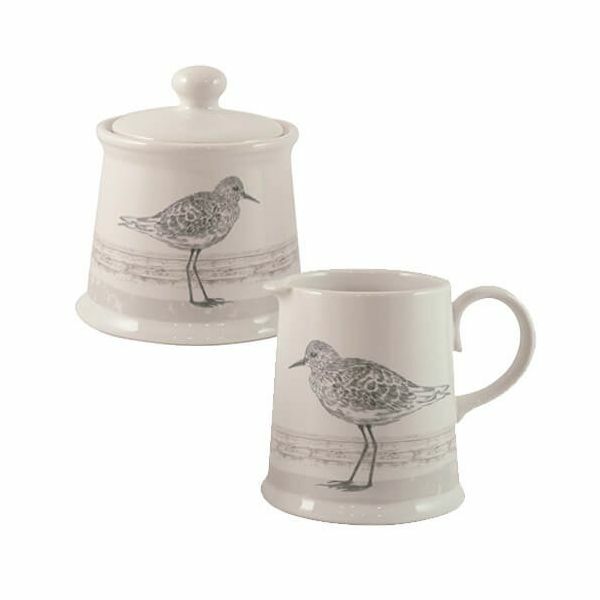 The beautiful designs features a pair of sandpipers in a delicate grey on the cream ceramic. The Sugar Bowl and Creamer Jug Set is ideal for serving afternoon tea or coffee for friends and family. Part of a collection this set makes a lovely gift. Dimensions - Pot 9 x 9.5cm, Creamer 7.6 x 9cm.